Paul McGinley and Padraig Harrington believe the 3 Irish Open could take years to grab a better date on the packed European Tour schedule. The pair have called for a reality check from the romantics who believe the Irish Open deserves a plum summer date by divine right. McGinley rapped: “You have to understand what is going on behind the scenes commercially. Romantically we would all like to have the Irish Open the week before the British Open but you have to look at reality." Sponsors 3 have signed a three-year deal to make the Irish Open the biggest ever with a whopping €3 million prize fund and the best field in years. But Harrington pointed out that getting back to the glory days of the 1980s and early 1990s could take another three years at the very least. Assessing the current May date, he said: “It's borderline too early in the year and I'd love it to get back to what it was maybe in the 80s or 90s, to have a standing that all of the players love coming and wanting to play in the Irish Open. “I do believe 3 can move it to that. I think sponsorship wise it is a good move and it’s a big move. Hopefully the crowds will turn out. Hoping the European Tour will turn around and give the Irish Open a prime date appears to be pie in the sky with the French Open, Barclays Scottish Open and the European Open competing for the same slots. The key for Harrington is making the event the best it can be with top prize money, top facilities and a top course. 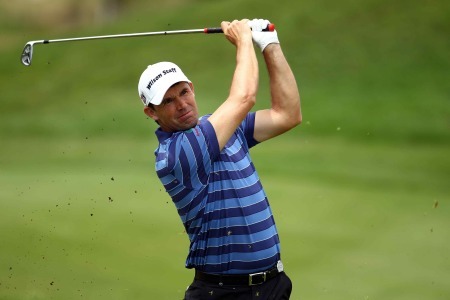 Harrington said: “The French Open is probably the classic example. They probably spent five or six years running one of the best events on one of the best golf courses with one of the biggest prize funds and it took them a long time to get them the actual date that they really required. Ireland got the Ryder Cup in 2006 because Michael Smurfit backed the European Open for ten years and the government backed up to five tour events a year. And Harrington added: “A lot of things go into making a great event and yes, the date helps. But you have to work to get that date. Irish golf in a slump? Tiger Woods can't stop winning but Ireland's tour stars are in their biggest slump for 12 years. While the world No 1 has opened up an even bigger gap at the top of the world rankings after his eight-shot win in the American Express Championship, Irish eyes are definitely not smiling as the season edges closer to its conclusion. Padraig Harrington, Darren Clarke and Paul McGinley played a major part in Europe's Ryder Cup victory at the K Club but none of them has managed to get over the winning line this season. 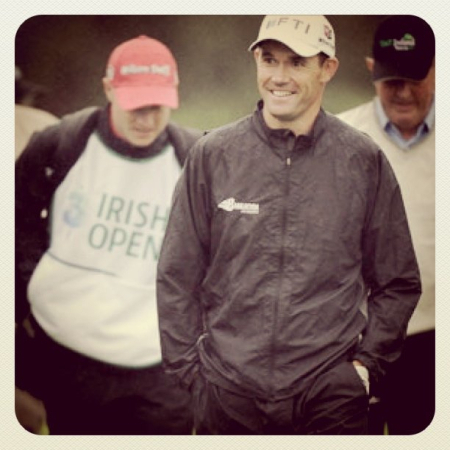 Harrington on $2m Rory - "He’s playing in the Irish Open for free!" Padraig Harrington (second left) launches the 2013 Irish Open advance ticket initiative ahead of the Bank of Ireland Excellence in Sport Awards dinner in Dublin with (left to right): Redmond O’Donoghue, Chairman, Failte Ireland; George O’Grady, Chief Executive of The European Tour and Conor Mallaghan, Managing Partner, Carton House. Picture by SportsfilePadraig Harrington believes the commitment of world No 1 Rory McIlroy in next year’s Irish Open is another huge step towards putting the event back on the global golfing map. Paul McGinley during a practice round for last week’s Thailand Open, where he was forced to retire with back spasms during the second round. Picture via OneAsia.asiaPaul McGinley expects to feel humbled as well as deeply honoured when he steps on the first tee at the 2013 Irish Open as Ireland’s first Ryder Cup Captain, writes the European Tour.